I am delighted to welcome you to Uplands Community Primary School's website. 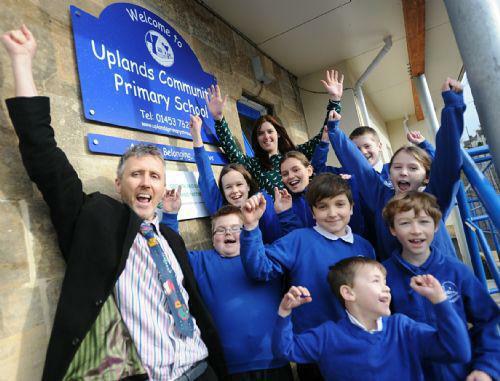 Uplands is a small, very inclusive primary school of just over 100 children right in the heart of Stroud; a bit like a village school in the town where everyone knows everyone. Our school motto is as simple as ABC: to be 'aspiring' for everyone, 'belonging' to our community and to always be 'creative' in everything we do, and our school really lives up to that challenge. I want our children to achieve the highest possible academic, social, creative and physical standards and the best progress by enabling them to shine, whilst encouraging perseverance, curiosity, teamwork, aspiration and reflection for the life-long learning skills they will need in the future. At Uplands, we ensure that children come to learning an inclusive, happy and safe learning environment where they are cared for and encouraged to do their best, whatever their abilities and needs. We also make sure that this creative learning environment enables children to grow with a sense of pride in themselves, their school and their community. Essentially, Uplands is a great school that opens a doorway onto the world, helping your child become a global citizen ready for the challenges of the 21st century. I firmly believe that Uplands is the right school for you and your child, where they will learn, grow and flourish.